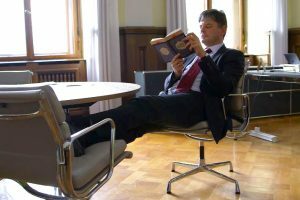 FAU was one of the winners of the “Eine Uni – Ein Buch” competition for all German universities launched by Stifterverband and the Klaus Tschira Foundation in co-operation with the weekly newspaper Die Zeit. During this summer semester, a range of different events will be held to mark the start of a literary journey at the University. 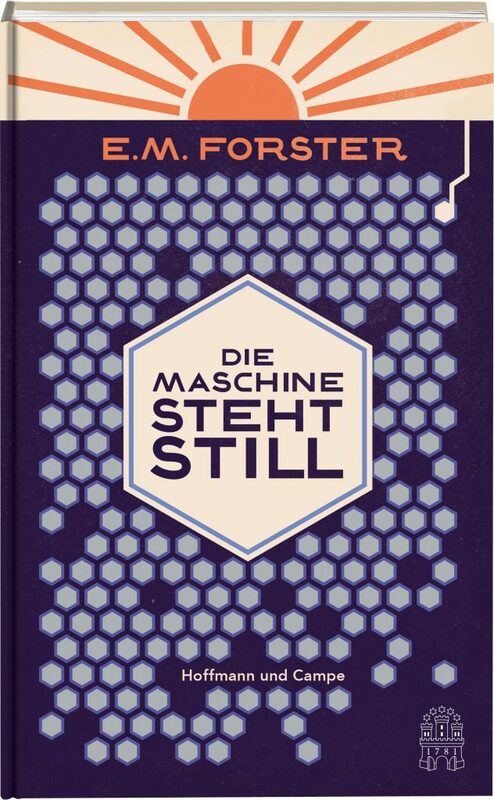 The book chosen by FAU is E.M. Forster’s ‘The Machine Stops’. FAU chose a book which all members of the university are invited to read including students, researchers, and employees. Literature enthusiasts from outside the University are also welcome to take part. FAU will host a range of events throughout the year where people can meet to discuss the book and express their opinions, likes and dislikes. The planned event formats include a stage reading, an excursion to the Department of Communication, Information and Media at Deutsches Museum in Munich, an interdisciplinary lecture series, a seminar on the book teaching core skills as well as an information and discussion session about ‘Denkbares und Machbares’ (‘The thinkable and the feasible’) with representatives from computer science and artificial intelligence research. In his more than 100-year-old novel ‘The machine stops’, the British author E.M. Forster had several prescient notions about the development of the internet and possible social and psychological consequences of a world in which information technology is gaining more and more importance. In his gloomy 80-page vision, published in 1909, Forster portrays a scenario, in which people have shifted their lives to an isolated, subterranean world that is controlled by the ‘machine’. Any form of communication, information and interaction with others is exclusively through the machine. The inhabitants of this machine world are provided with all they need to live comfortably but must remain in the cells they live in and subject themselves completely to the rules of the machine. Throughout the book, Forster examines the profound and comprehensive change in human interactions caused by technology. The central aspects of this short novel – which was recently re-translated into German – are the change of human communication through the use of technology, the influence of technology on thinking and learning, the considered and callous use of the machine – which is a curse and a blessing – and finally the potential consequences for society if the technology fails. FAU chose ‘The machine stops’ because of its relevance to so many aspects of our lives in modern society. These topics are both fascinating for the general public and are also linked to current research and teaching at FAU. The ten best ideas for the competition were selected by a panel of experts from the areas of culture, science and society. Each of the winning ideas will receive funding of 5000 euros starting from this summer semester. The organisers of the competition intend that the funding programme is used to strengthen identification between members of the university and their organisation and promote collaboration within each university. This summer semester, FAU will launch a programme with a wide range of events in Erlangen and Nuremberg designed to encourage debate among members of the university and the general public. FAU’s application is a cooperation between the Centre for Applied Philosophy of Science and Key Qualification (ZiWis, formerly ZIEW), UniTV and the Department of Marketing and Communications.